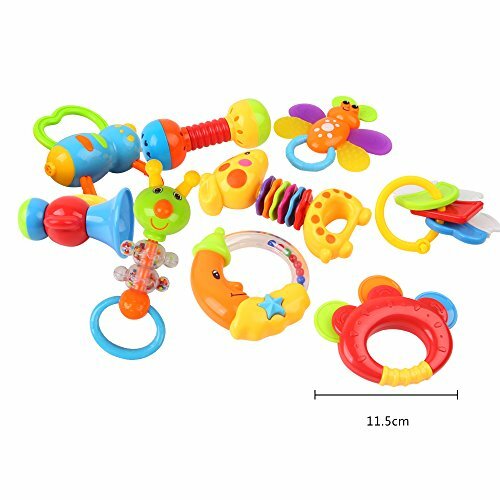 ————-Toys Description————- Features: This Teething toys set Baby Rattles Teecher&Shakers toy plays an important part in the development of a baby’s skills. 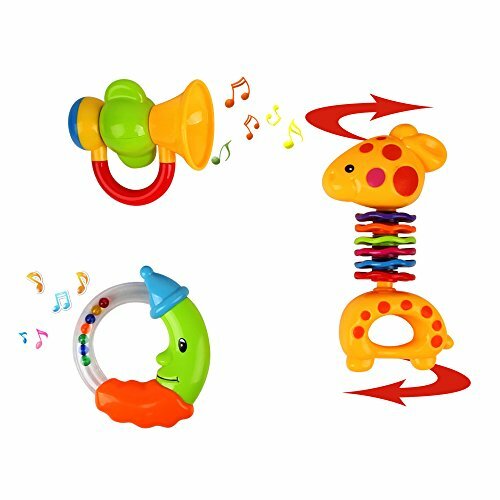 These bright coloured, visually appealing rattles can be shown to a baby to help them focus. 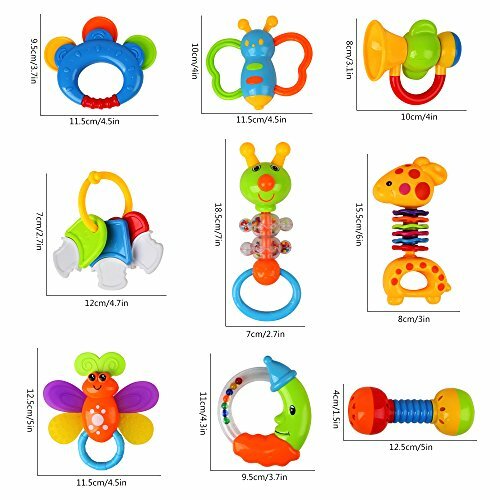 And through moving them sideways and up and down, it will assist their eye tracking movement, and help them coordinate their eyes. 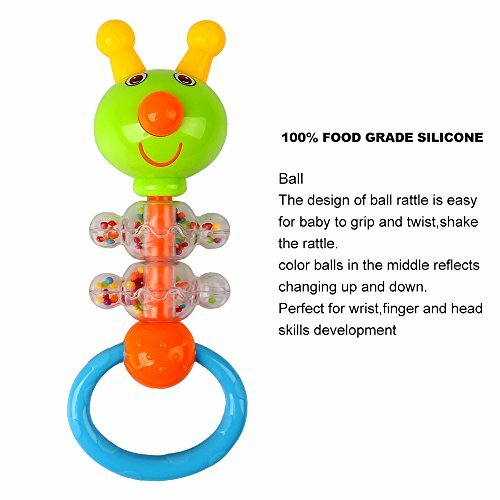 *****WHAT YOU WILL RECIEVE***** 9 Baby Rattles Packing dimension: 9.45″X 7.48″X 2.76″ Recommended age: 2 MONTHS and UP Important: Always use the product under the supervision of adults. 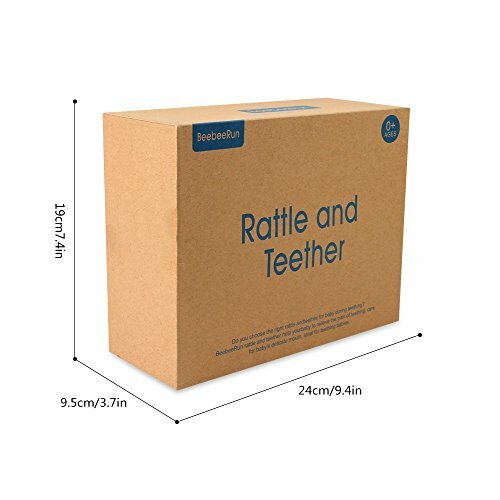 Please remove the wrapping and all packaging elements before allowing the children to play them. 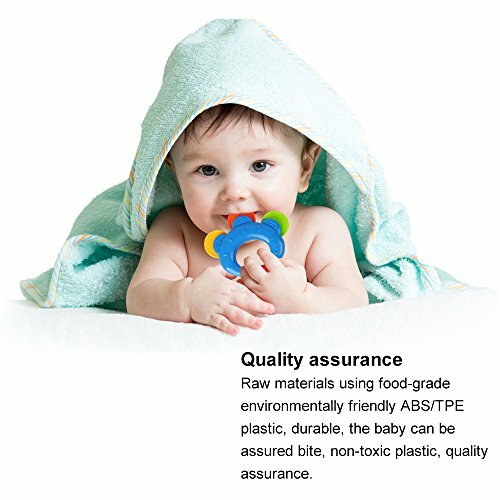 Wipe the toy with a damp cloth to keep it clean. 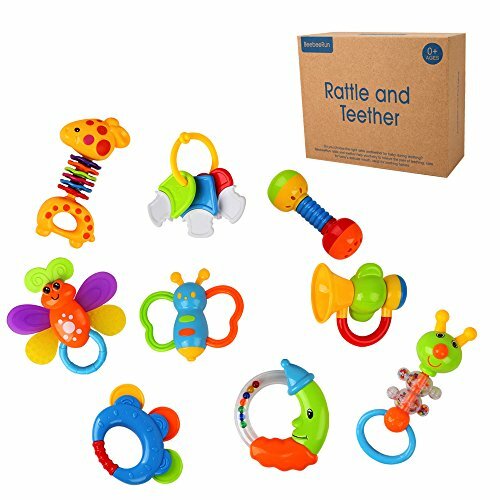 Your baby would like to play and enjoy in biting, grabbing, shaking and dropping a rattle & teether toys. If you’re not completely satisfied, you can return with no questions asked. 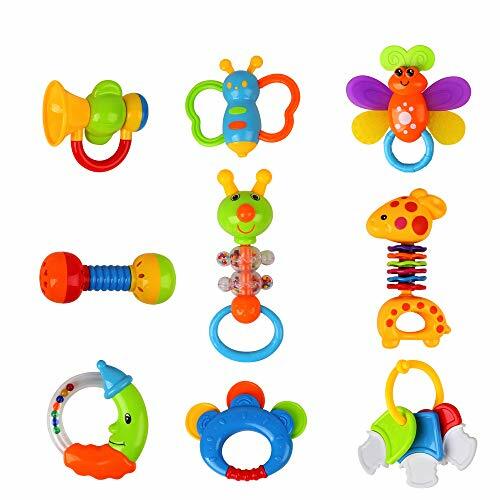 Please click on ”ADD TO CART” button and let your baby shake and make music with these colorful rattle & teether toys!9pcs Baby rattle and teether: Baby Cartoon Rattle toy Gift Set in Kraft Paper Box included non-toxic key teether, 2 pieces of butterfly grip, moon like and bear shaker,Giraffe grab,musical note rattle, trumpet and dumbbell(some item color pick up randomly). 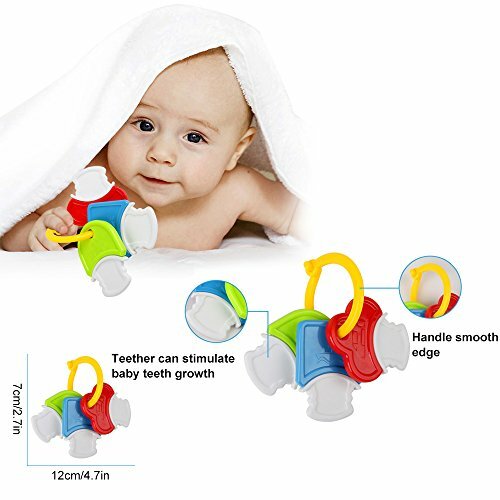 Development for baby: Exercise your baby’s hearing, hand and eye coordination of brain,unique design can develop baby recognition, tasks to assist in fine motor skills, Numerous sounds will expand baby sensory experiences and also sense of touch.